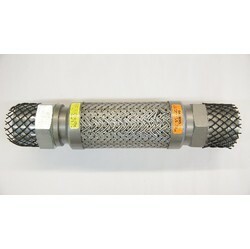 Hose Master's FireShield connectors are the safest, longest lasting, and most flexible metal hose connectors manufactured today. 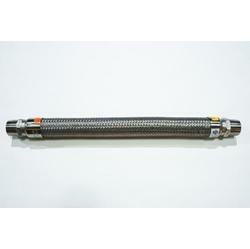 Hose Master's unique process makes the difference by minimizing residual stress points created in the hose during the manufacturing process. 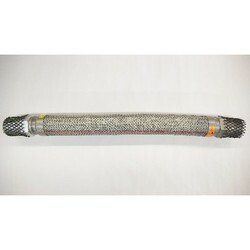 Hose Master's proprietary tube seam weld technology resists aromatic vapor permeation and Hose Master's precise ASME certified welders follow specified procedures to insure the strongest fitting attachments. 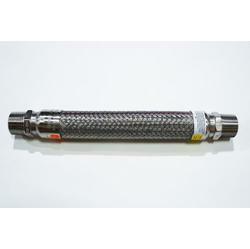 Hose Master's extensive array of available end fittings offer the quickest and most cost-effective solutions for connecting fiberglass or flexible pipe to the submersible pump and shear valve. 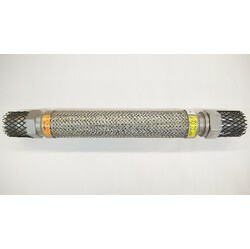 Hose Master's FireShield connectors minimize threaded connections, which means fewer leak points and reduced installation time and labor. 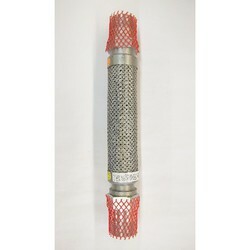 Hose Master's FireShield connectors meet all specifications for aboveground and underground piping applications, and comply with NFPA and UFC codes. 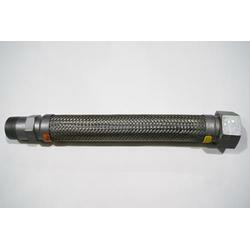 They are rated for full vacuum and are available with BSPP and BSPT threaded fittings. Connectors are designed to accept approved secondary containment systems.